The vehicle you choose for off-roading is built to take punishment: dust, heat, bumps, grit, gravel, mud, tough terrain, changing weather conditions, and often all at the same time. The watch you wear to handle the same unforgiving conditions should be able to handle the hard road ahead as well. The G-SHOCK range of watches should need no introduction. Launched upon an unsuspecting world in 1983 by Casio, and more specifically by engineer and designer, Kikuo Ibe, G-SHOCK has since earned its reputation as the ultimate ‘off road’ watch, used by those who either drive or walk off the beaten track, and that includes scores of elite special forces personnel the world over. Impressive though the G-SHOCK specs have always been, including the ability to absorb shock, dive into water and offer 200 meters water resistance, both a digital and analog readout and a range of standard features including 5 daily alarms and world time 31 time zone readings, G-SHOCK decided to go for absolute toughness with the G-SHOCK Mudmaster GG1000-1A. 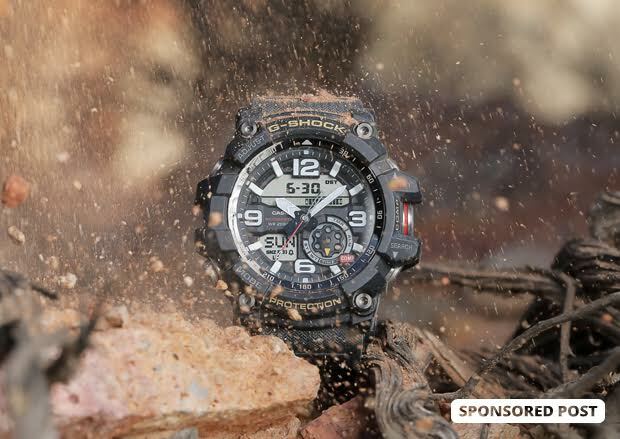 Read more about As Tough as the Roads You Travel: G-SHOCK MudMaster GG1000-1A at Off-Road.com.